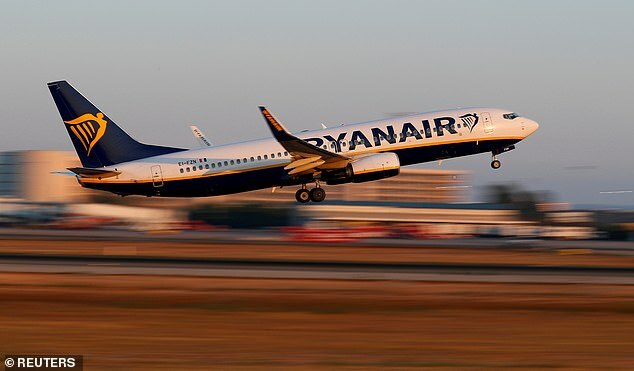 A man visiting his family in the UK was put on the wrong plane to fly back home to Poland - ending up 1,000 miles away in Malta. 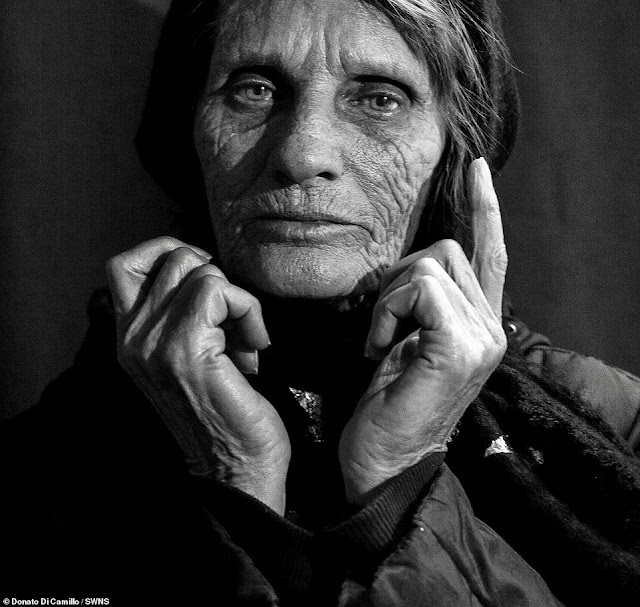 Pawel Lawreniuk, 75, realised he had landed in the wrong county when he asked a bemused taxi driver to take him home only to discover he did not speak a word of Polish. The widower was booked on to the 6.50am Ryanair flight to Gdansk from Leeds-Bradford airport on Sunday, January 6. He had flown to the UK to see his daughter for two weeks at Christmas. But Mr Lawreniuk was allowed to get on the wrong flight. The plane actually took him to Malta International Airport, with retired engineer Mr Lawreniuk, who does not speak English, none the wiser. It meant he was stranded with little money, a phone which didn't work in Malta and no grasp of the local language. Luckily, a Polish-speaking woman overheard the worrying conversation and was on hand to contact his daughter and book him onto the correct flight that same day. Mr Lawreniuk has since explained to family that he showed the plane ticket to staff on the flight who directed him to his seat - and as far as he was concerned he was on his way to Poland. 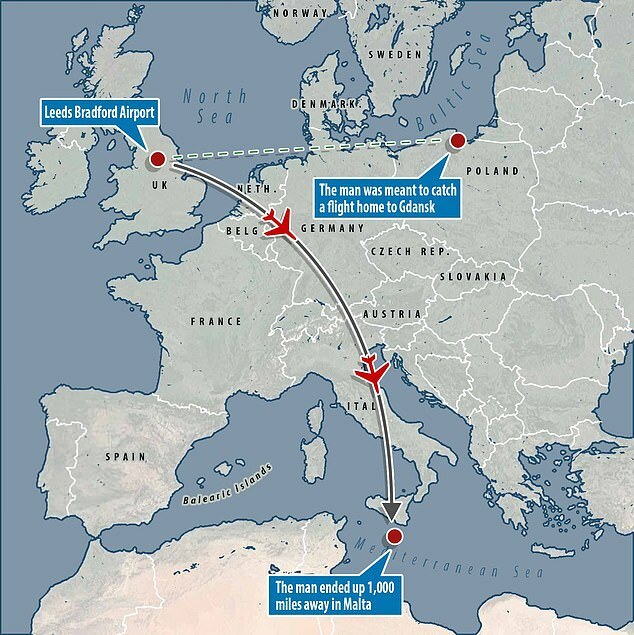 His daughter Lucyna Lawreniuk, 34, feels aggrieved that the mix-up meant he got back to Gdansk nearly 14 hours after setting off from her home in Bradford, West Yorks. She said: 'I double checked the ticket, printed it and it said Gdansk. 'There was a call to me at work and I saw it was from Malta. I thought oh s**t, there's something wrong. I then saw someone writing on WhatsApp and saw the message. 'I cried, I was scared - he was in a different country, a different place. I don't know how it is possible for him to make it all the way to Malta. 'I spoke with him about everything and he's had bad dreams - I'm worried about him, but hopefully everything will be OK.
'If someone didn't come forward, I'm not sure what would have happened - he had no money, no phone, he can't really do anything alone. Lucyna was first alerted to the mishap by Kamilla Nikolas who luckily happened to be in the airport at the same time Mr Lawreniuk was struggling to work out why he couldn't get a taxi home. Ms Nikolas, 35, said: 'I went to find out what had happened and said I speak Polish. Ms Nikolas said she told Mr Lawreniuk he was in the middle of the Med and he just could not believe it. With the help of staff at Aviaserve, Ms Nikolas was able to arrange a flight from Malta to Gdansk later that day. But, she said the whole situation was extremely fortunate because there are only two flights a week. Eventually, Ms Nikolas had to leave for her trip to Sicily but made sure she left Mr Lawreniuk's daughter with contact details for Aviaserve and kept in constant contact. Ms Nikolas said: 'I'm just happy I overheard the conversation and I could help. There's not many Polish in Malta - I was in the right place at the right time. 'It must have been horrible - I just hope it will be an eye-opener. 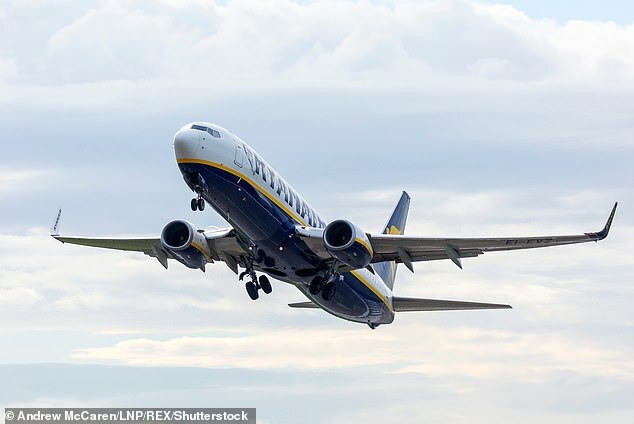 A Swissport, the handling agency for Ryanair at LBA, spokesperson said: 'We are aware that a passenger was able to board an incorrect flight at Leeds Bradford Airport on Sunday 6 January. 'The passenger had undergone all airport security screening before boarding the flight and had a valid passport which had been checked.